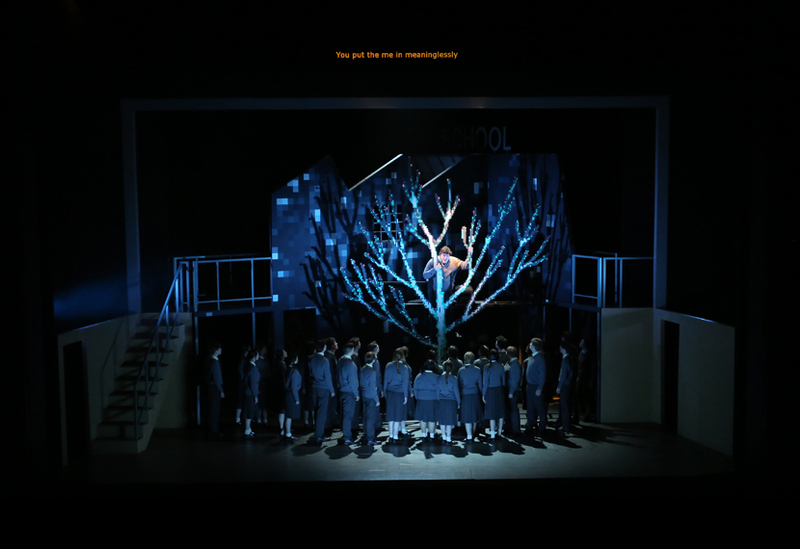 ‘Nothing’ is a new opera based on the young adult novel by the Danish author Janne Teller and jointly commissioned by the Glyndebourne Education Department and the Royal Opera House. 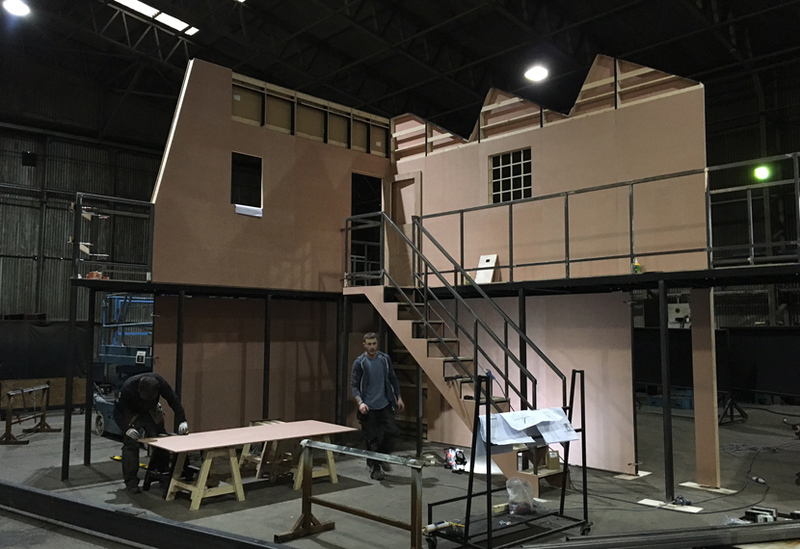 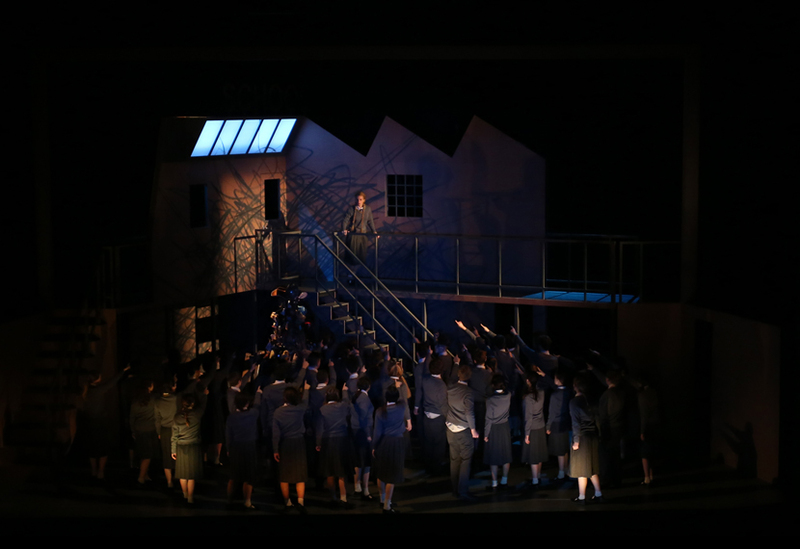 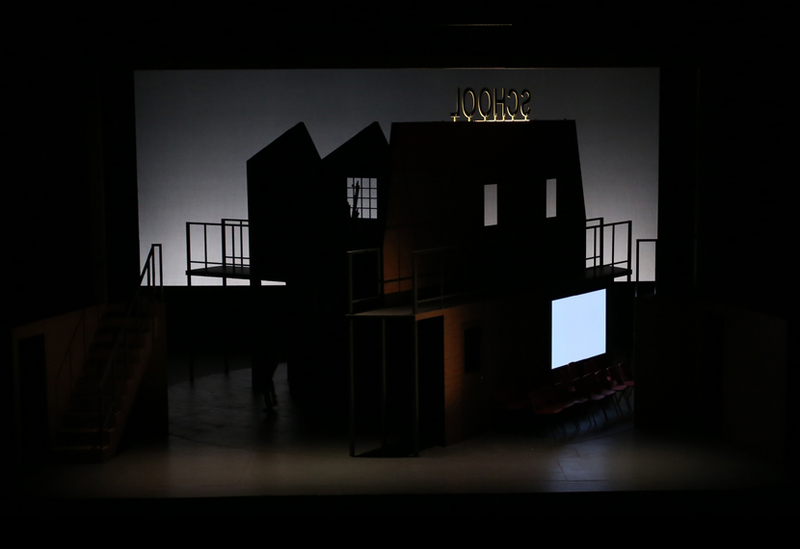 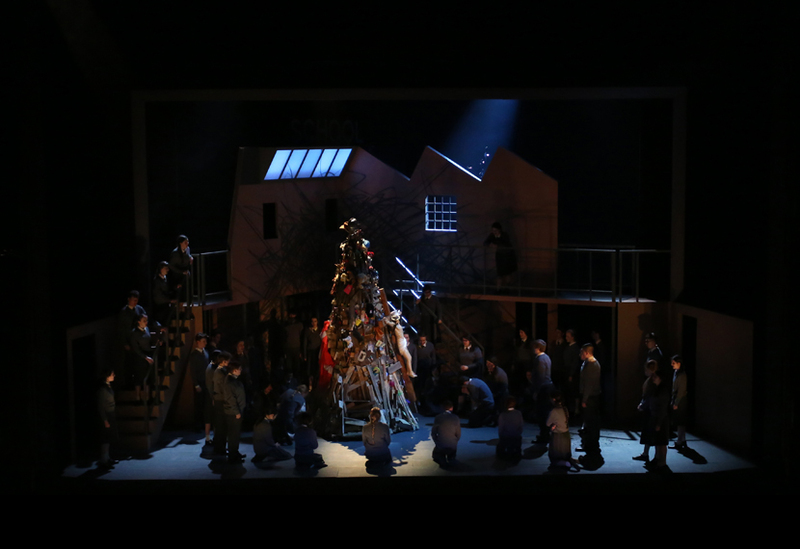 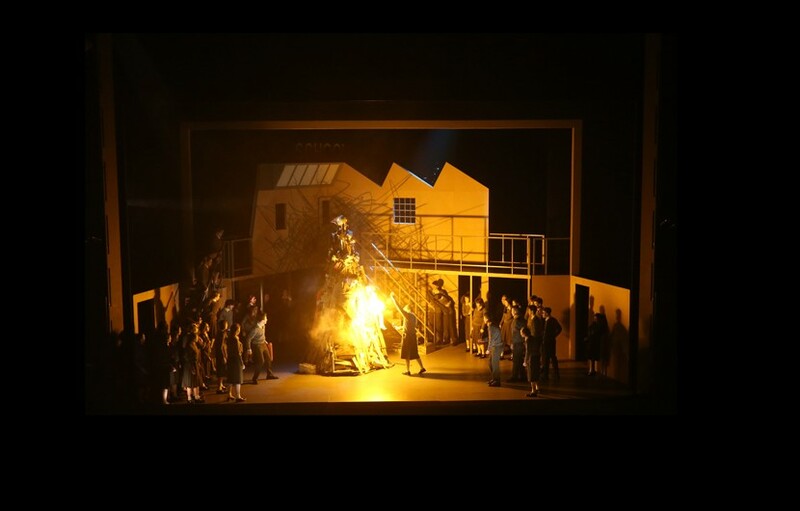 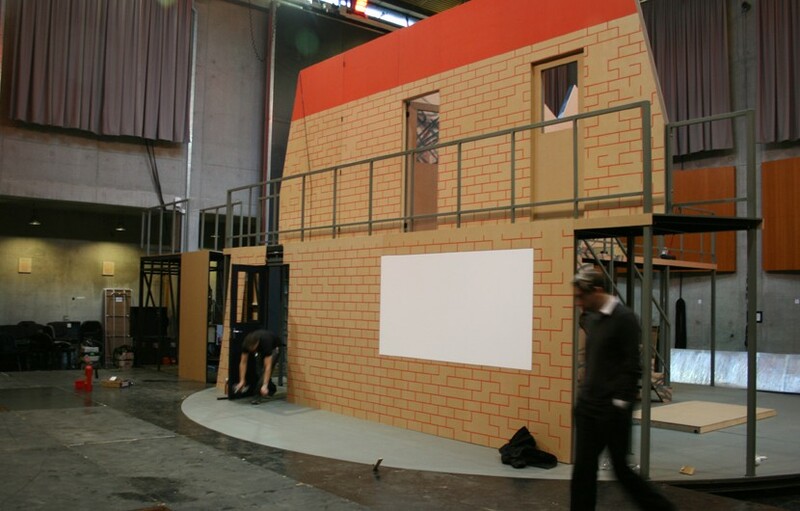 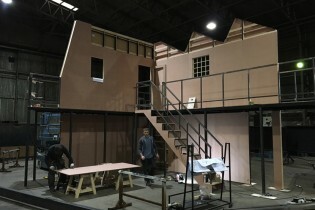 The revolving set featured three different scenes, all based around one multi-purpose building. 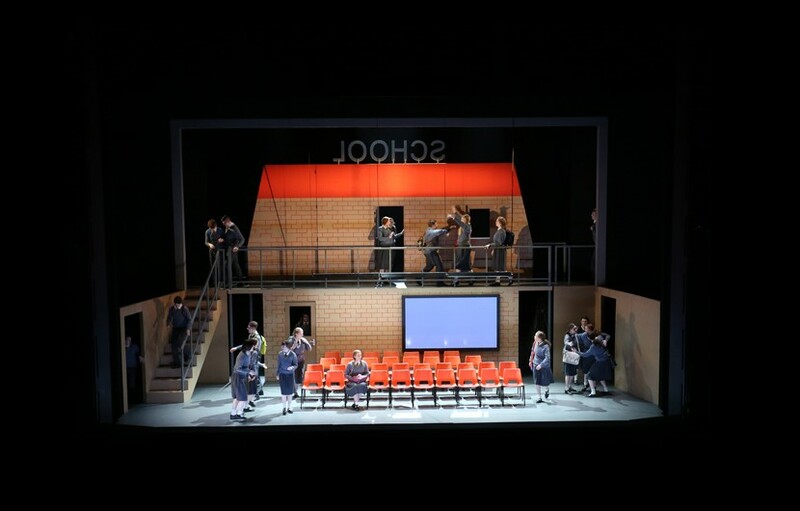 Incorporating a sawmill, school and an orchard, the main structure consisted of a steel frame clad with an MDF split-baton fascia; and steel treads and walkways with black sprayed handrails. 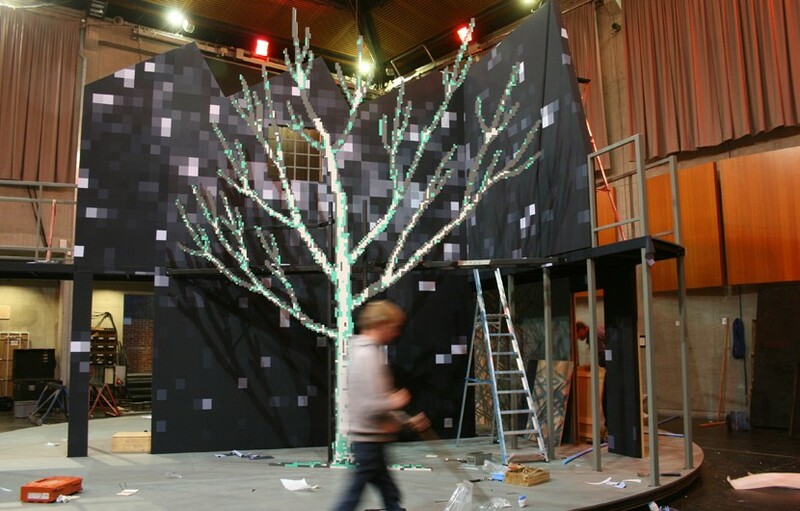 A printed ‘pixel’ canvass mounted to the building provided a backdrop for the orchard while a large MDF tree mounted to a steel armature was hand painted, also with a pixelated effect, and fixed centre-stage. 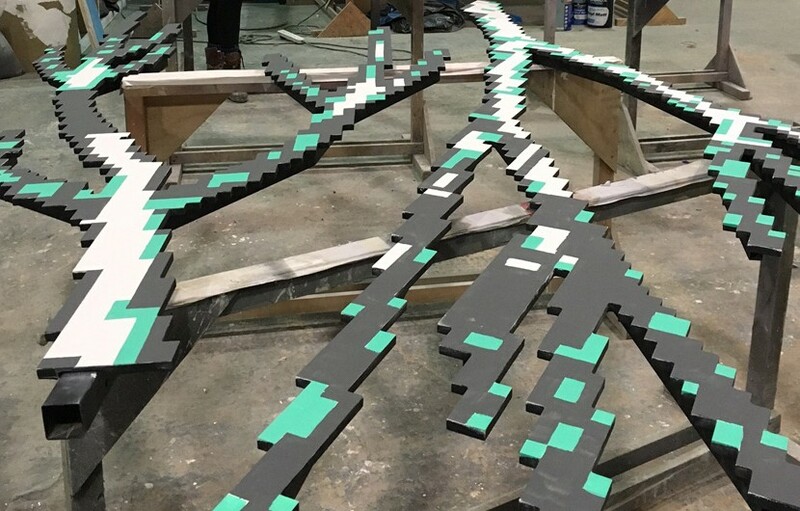 CNC’d and painted brickwork featured for the school while an energetic ‘scribbled’ paint effect was used in the sawmill. 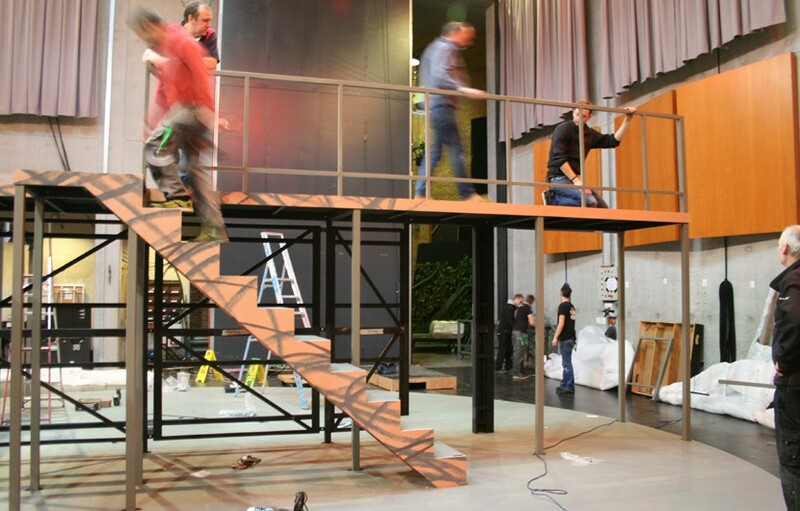 All handrails and visible steelwork were sprayed black.